In what must have seemed like a scene right out of the film 8 Heads In A Duffel Bag, Southwest Airline cargo workers in Little Rock Arkansas recently made a grisly discovery. Imagine your typical baggage handlers tossing around luggage and boxes and things in the cargo warehouse when all of a sudden a human head rolls across the floor. I don't know if it happened that way or not but somehow workers discovered 40 to 60 whole and partial human heads. WTF? Yep, and after a little tete-a-tete they contacted the authorities. Now the airline would normally ship "human specimens for medical purposes" but in this instance it seems the cargo of craniums wasn't packaged properly. They were in plastic containers closed with duct tape as opposed to being vacuum sealed. Huh! Well, sure, that's a no-brainer. Now, for me, this story raises a couple of questions. Number one is where the hell do the heads come from? Do people donate their heads to science? Not that I'm aware of. Didn't guillotines go out with the French revolution? And partial heads? Does somebody chop whole heads into pieces because they can get more for the parts? And where do they do this work? In a "head" shop? The heads are destined for "a doctors' continuing education program". I guess when they learn their patients come with a whole body to be treated they'll think they were better off a head. This story certainly gives new meaning to getting ahead. Really heady stuff, dufus. A total groaaaaner! Heh heh. What? You mean duct tape was not the miracle wonder tape that it claims to be? I can't tell you how many things in our house have been "fixed" with duct tape. 00dozo: Go to the head of the class! 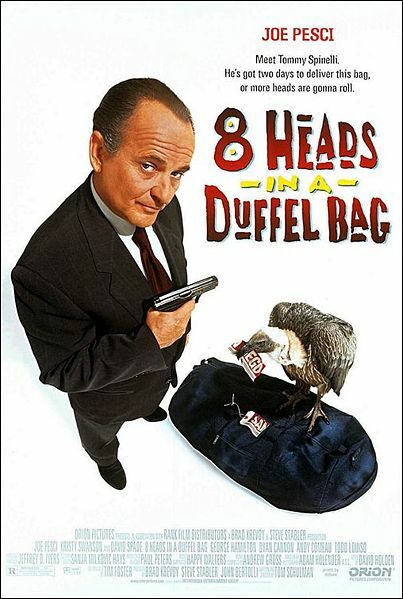 Quirks: Seems the airline didn't think human heads should be packed with duct tape. When the cargo workers were tossing them around I bet they yelled "duct"! Did anyone check to see if they matched the feet being found in BC? Frank: Authorities are putting their heads together right now. I have it on good authority that your suggestion is a shoe-in for serious consideration. Sheesh! Imagine that! If the heads went via air, how did the bodies go? Damn. I hope UPS doesn't stop by anytime soon. Beware of smelly packages. Don: Yeah, you know when I think of Dead Heads I think of something else entirely. Personally I always vacuum seal my heads when I mail them somewhere, duct taping is just sloppy. I bet they didn't even tie the tongue in place. Amateurs. I have a different question. Doesn't duct tape seal anything? Those heads should never have rolled. Ziva: And head parts. If you ask me this story is just plain ear-ie. River: If you ask me heads WILL roll over this! I saw this the other day on Drudge. Even heads in a cooler love the prices on Southwest.